James Comey says Trump tweets about him like a breakup he "can't get over"
Former FBI Director James Comey, who was fired by President Trump last year, made an appearance on CBS' The Late Show With Stephen Colbert Tuesday night, the same day his new book was released. Colbert began the show by jokingly asking Comey for his loyalty, and pouring red wine into a paper cup — which is what Comey said he did on a flight home from Los Angeles after he found out he was fired from television. Comey's book and comments about his time as FBI director have irritated Mr. Trump, who called the former FBI leader a "slime ball," among other things. Comey's "A Higher Loyalty" describes Mr. Trump as a man "untethered to truth." In an interview with ABC News that aired Sunday, Comey called Mr. Trump "morally unfit" to be president. 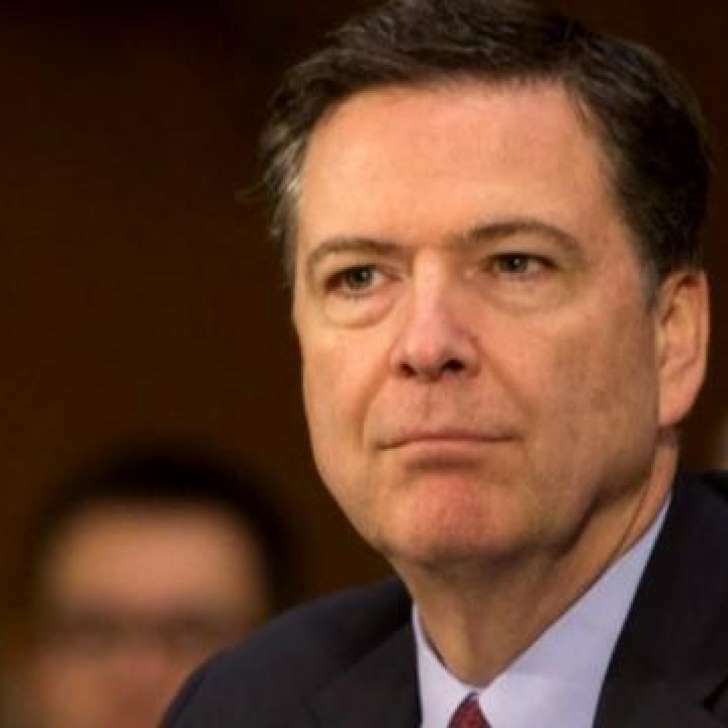 Comey was fired as FBI director by Mr. Trump in May, a decision that set off a series of events, including Deputy Attorney General Rod Rosenstein's appointment of special counsel Robert Mueller. Mr. Trump called that decision one of the great honors of his presidency. Comey told Colbert he "actually was quite surprised" when Mr. Trump fired him. Colbert asked why he was surprised, given that Comey now describes Mr. Trump as something of a "mob boss." "Because that would be a crazy thing to do," Comey said. "Why would you fire the FBI director who's leading the Russia investigation?" "Because you're leading the Russia investigation!" Colbert responded. Colbert asked if there are things Comey knows about the Russia probe that he learned before he was fired. "Can you tell me what those are?" Colbert asked. Comey laughed, then responded, "No." Colbert asked Comey if he thinks Mr. Trump can change and become an ethical leader. "I think it would be very hard, given who he is as a person," Comey said. Comey, asked by Colbert why he decided to announce the decision in the FBI's investigation into Hillary Clinton's use of a private email server, called it the "least worst way" to close the investigation and attempt to keep confidence in the FBI. Comey said "reasonable people" could see Attorney General Loretta Lynch as "compromised," given her political connections. Colbert took to Twitter Monday, joking, "Firing Comey last May must be Trump's biggest regret, since it means he can't fire him now." Politics - U.S. Daily News: James Comey says Trump tweets about him like a breakup he "can't get over"